READY TO MOVE IN. NEW CARPET. Premier Gated student community with resort style amenities. Clubhouse with fitness center, business center, pool tables, gathering areas. Huge pool, volleyball/bball/tennis courts and green space. Nice TH style condo with vaulted ceilings in BR's, wood flooring in common area, all appliances included. 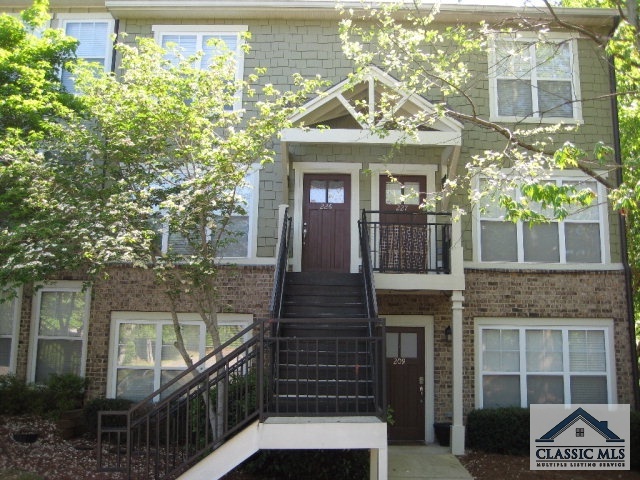 490 Barnett Shoals #256 #256, Athens GA 30605 is a Condo, with 2 bedrooms which is recently sold, it has 0 sqft, 0-Condo/Townhouse sized lot, and None parking. A comparable Other, has bedrooms and 0 baths, it was built in and is located at and for sale by its owner at $ 0. This home is located in the city of , in zip code , this County Other, it is in the Subdivision, and Cedar Creek are nearby neighborhoods.